Billy F. Gibbons : The Big Bad Blues album download | Has it Leaked? 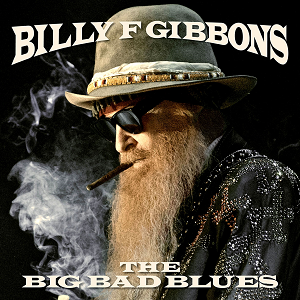 The Big Bad Blues is the upcoming second solo studio album by American rock musician and ZZ Top member Billy Gibbons. The album was released on September 21, 2018, via Concord Records. The Big Bad Blues is the follow-up to Gibbons' 2015 solo album "Perfectamundo". The album will feature 11 tracks, including covers of “Rollin’ and Tumblin’” and “Standing Around Crying,” along with some originals. On the album, Gibbons is joined by keyboardist Mike Flanigin, bassist Joe Hardy, drummers Greg Morrow and Matt Sorum, guitarist Austin Hanks, and harmonica player James Harm.